An awesome addition to Dr Martens accessory range - a great pair of socks to help you while you are 'wearing your Docs in'. Dr Martens know that there are often friction points in your new Dr Martens boots and shoes that can cause rubbing on the heel and ankle and so have developed their own socks to help you put your best foot forward. 30cm (12 inch) high and stretchy, so a fantastic sock for both men and women. There is ample terry cloth padding at the friction points as well as under your foot that should make your Doc's a pleasure on your feet. 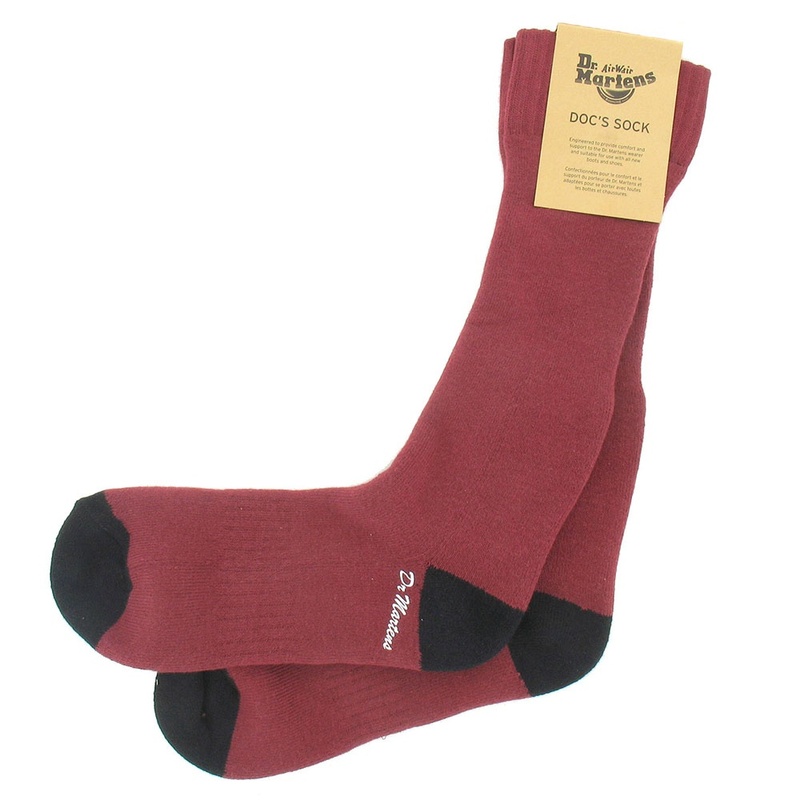 In classic Dr Martens colours of oxblood with a black heel and toe, these unisex socks also carry a discrete Dr Martens branding in white and come in adult sizes small medium and large so there is a pair for everyone - put yours on today!